Matt* was born in a suit. He kept one on for his business degree, and now wears them with style as a successful commercial litigator. Whether you need his representation in a shareholder dispute, real estate litigation or an insolvency matter, Matt means§ you get practical and solid advice for complex issues. With vast experience in the courtroom and the boardroom, Matthew is a go-to partner for advice that suits your business‡ . He brings a direct approach to his dealings with clients and opponents. He understands that some disputes require resolution, while others call for an aggressive approach through trial. .
Matthew’s litigation practice is focused on complex commercial litigation, real estate disputes, employment litigation and insolvency matters. He regularly acts for parties involved in shareholder or partnership disputes, commercial arbitration and in prosecuting or defending civil fraud claims. Matthew has also acted on behalf of boards of directors and officers in the defence of large multi-jurisdiction class actions. He has been actively involved in a variety of insolvency proceedings, acting for the court-appointed officer or secured creditors. Since the beginning of his career as a litigator, Matthew has also developed significant expertise in defending the interests of physicians involved in regulatory and malpractice matters. 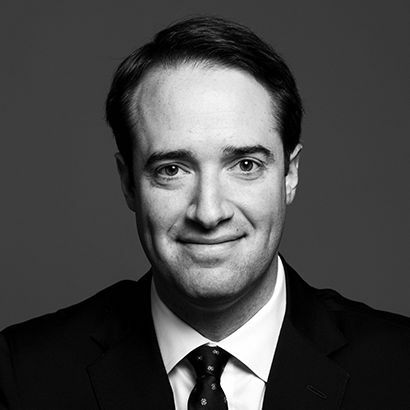 Matthew has appeared as lead counsel at all levels of Court in Ontario and at many administrative tribunals. Matthew’s clients span a wide-range of industries; his clients range from large real estate developers to public companies in the information and technology sector. Since 2010, Matthew has been the Chair of the Lenczner Slaght Moot in Legal Ethics and Professionalism which is held annually for law students at Western Law. Counsel to a purchaser in a successful proceeding to oppose a Construction Lien Act Trustee’s attempt to disclaim several agreements of purchase and sale. Counsel in an arbitration concerning the division of profits from a successful architectural firm. Counsel to the defendant developer in proceedings alleging construction deficiencies in the construction of the Four Seasons Residences in Toronto. Counsel to the successful responding parties on a motion to change the venue from the Toronto Commercial List of an application for an injunction preventing the removal of a shareholder from a Board of Directors. Counsel to the responding party on a motion to compel production of confidential financial information and tax returns refused to be produced at examinations for discovery. Counsel to defendant professional regulator, its registrar and an investigator on a successful motion to strike out the plaintiff/regulated health professional's statement of claim as failing to disclose a reasonable cause of action. Counsel on successful motion for summary judgment on behalf of a plaintiff landlord regarding an assignee's ongoing liability for rent pursuant to a commercial lease. Counsel to defendant franchisor on a successful motion to strike out the plaintiff franchisee's statement of claim as failing to disclose a reasonable cause of action. Counsel on motion by defendant to strike statement of claim as failing to disclose a reasonable cause of action. The Supreme Court of Canada today released its long-awaited decision in Orphan Well Association v Grant Thornton Ltd. The Court reversed a decision of the Alberta Court of Appeal that allowed the trustee of a bankrupt oil and gas company to sell its profitable wells and disclaim unprofitable ones, leaving the public to bear the end-of life liability associated with those wells. Lawyers are reminded of the importance of exercising care when drafting pleadings. In the recent case Strudwick v. Applied Consumer & Clinical Evaluations Inc., the Ontario Court of Appeal held that not even the particularly egregious conduct of the defendants warranted relaxation of the principle that a court’s jurisdiction to award damages is limited by the amount sought in the pleadings. Matthew B. Lerner served as Faculty at the Osgoode Professional Development Intensive Trial Advocacy Workshop, Advanced Skills Series. Matthew Lerner and Stephen G.A. Pitel co-authored an article which appeared in the January 19, 2015 issue of Law Times.